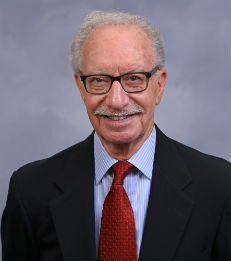 William L. Silber is the Marcus Nadler Professor of Finance and Economics and Director, Glucksman Institute for Research in Securities Markets, at the Stern School of Business, New York University. He is also a member of the New York Mercantile Exchange where he has traded options and futures contracts. In the past he managed an investment portfolio for Odyssey Partners, and has also been a Senior Vice President, Trading Strategy, at Lehman Brothers, a Senior Economist with the President's Council of Economic Advisors, a member of the Economic Advisory Panel of the Federal Reserve Bank of New York, and a member of the investment committee of the SSRC endowment fund. He holds an M.A. (1965) and Ph.D. (1966) from Princeton University and is a graduate of Yeshiva College (1963). He has consulted for various government agencies, including the Federal Reserve Board, the U.S. Senate Committee on the Budget, the House Committee on Banking and Financial Services, and the President's Commission on Financial Structure and Regulation. He has testified in Congress and has been an expert witness in a number of court cases. In 1980 he received the Excellence in Teaching Award at NYU's Stern School of Business and was voted Professor of the Year by MBA students in 1990 and 1997. In 1999 he was awarded NYU's Distinguished Teaching Medal. His latest book, VOLCKER: The Triumph of Persistence, Bloomsbury (2012), is a biography of Paul A. Volcker, who served five American presidents during half a century of public service, and is most celebrated for subduing the Great Inflation in the United States as Chairman of America's central bank, the Federal Reserve Board, from 1979 through 1987. In the past he has published over fifty articles in professional journals, has been an Associate Editor of the Journal of Finance and of the Review of Economics and Statistics and has published the following books and monographs: When Washington Shut Down Wall Street: The Great Financial Crisis of 1914 and the Origins of America's Monetary Supremacy, Princeton University Press (2007); Selected Essays in Finance (editor), Blackwell Publishers (2002); Principles of Money, Banking and Financial Markets (co-author), Addison Wesley (1974, 1977, 1980, 1983, 1986, 1989, 1991, 1994, 1997, 2000, 2004, 2009); Financial Options: From Theory to Practice (co-editor), Dow Jones-Irwin (1990); Money (co-author), Basic Books (1970, 1973, 1977, 1981, 1984); Municipal Revenue Bond Costs and Bank Underwriting, Monograph Series, New York University(1979); Commercial Bank Liability Management, Reserve City Bankers (1978); Financial Innovation (editor), D.C. Heath & Co. (1975); Portfolio Behavior of Financial Institutions, Holt, Rinehart & Winston (1970). Prof. William Silber's book, “Volcker: The Triumph of Persistence," is noted as an "Editors' Choice"